It's officially summer here in the U.K, the sun is out, we're all moaning it's too hot and some of us (not naming any names👀) are already willing on Autumn. The joys of British summertime! 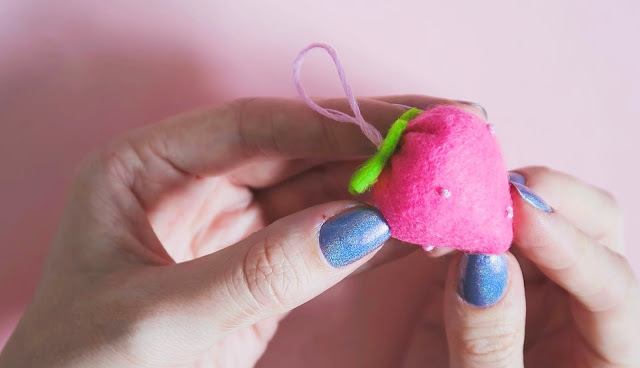 To celebrate this, I decided to make a video tutorial for one of my favourite easy felt crafts- a very cute little strawberry. I used to sell these at craft fairs and they were always so popular. With the addition of the embroidery thread loop, these can be hung in your kitchen or attached to your keys or bag. A nice little summer accessory! 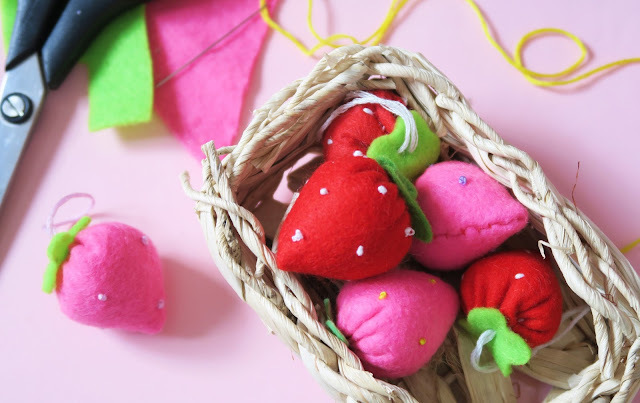 Alternatively, make a fair few of them and assemble in a bowl or basket for a fun, summery table decoration. 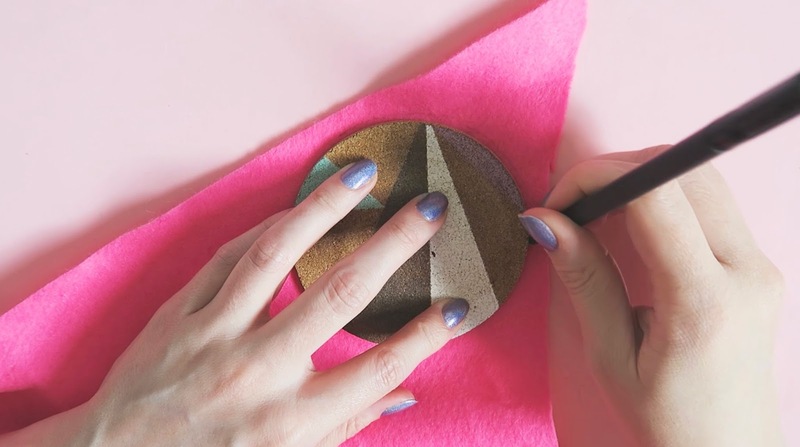 Watch the video to get the overall idea of how to make it, you can even follow this step by step and pause it as you go. 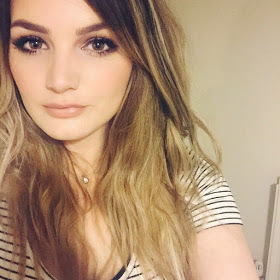 Below I've added extra tips and broken down the steps for you! 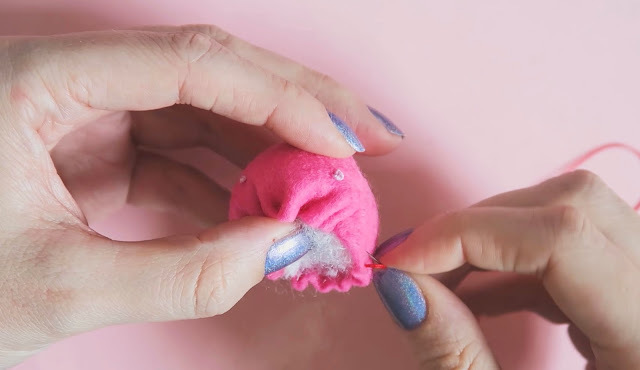 To make the seeds, you can do a variety of French knots. See my embroidery stitches video for more info on this. 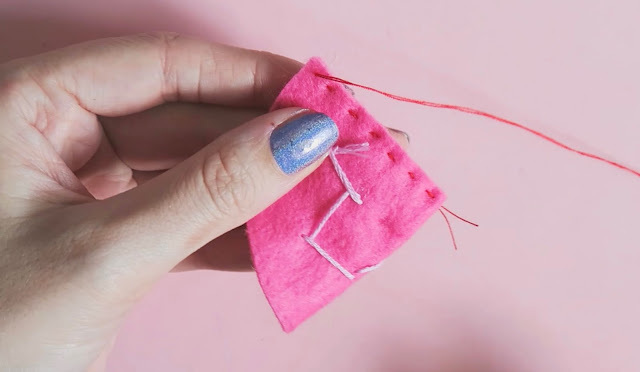 Alternatively you can do lots of little straight stitches for a simpler version. Fold the fabric with the back of the stitches facing outwards. Sew the two straight edges together using a straight stitch. Turn this the right way out and you have made the body of your strawberry! 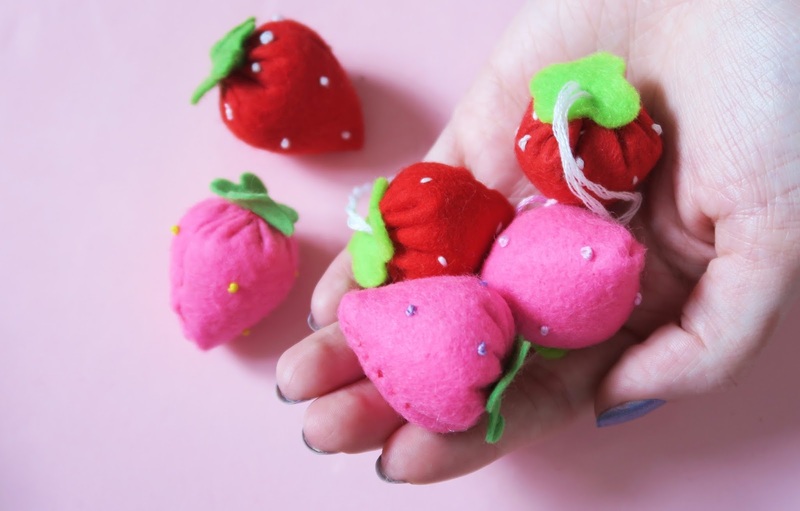 Using a running stitch, stitch around the top of the strawberry and then carefully pull tight. Knot this to keep the shape and put in a few extra stitches to keep it in place. 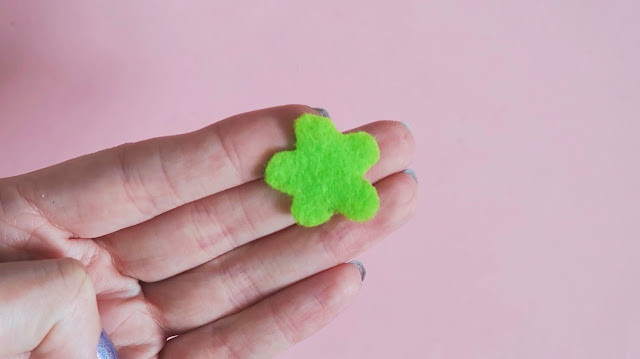 Using your second colour of felt, draw a left or star shape and then cut out. Stitch this on to the top. 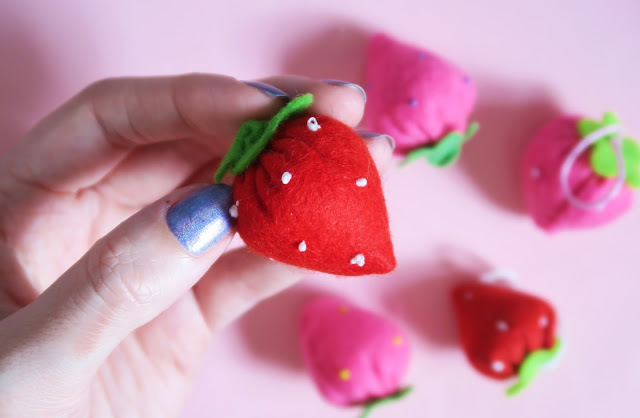 To add a loop so the strawberry can be attached to something, simply use embroidery thread, stitch up through the middle of the leaves and go back down roughly through the same point. Tie a knot for added strength. If you try this project, let me know!